1 Year on! WHMCS.Community Turns One! Today marks 1 year since the launch of WHMCS.Community! In that time we're re-platformed from vBulletin to Invision Community Suite and seen tremendous growth in across the boards. It's thanks to all our users that the new community has been a success, and we're just getting started! Leading the pack with 440 reputation points is @brian! Remember, using reactions on posts could see you on the leader-board next year, or featuring in our monthly wrap-ups. Thanks to everyone that has contributed to the first year; without you we wouldn't have a thriving community. Over the next year we plan to add more boards, a new ranking structure and more feature that make this community even better than it already is! Welcome to the August 2018 Community Wrap-up a look back at some of the highlights from the community over the last month. WHMCS.Community is here to help you so please do send your feedback thru! V7.6.1 which is a maintenance release was released on August 28th and is now ready for download from downloads.whmcs.com or alternatively, you can update from within WHMCS using the Automatic Updater. And on another note, the dedicated WHMCS V7.6 release board will remain active for a few more days before we fold the threads into the main WHMCS.Community later this week. It's been a while since we last reminded people about the ways to contact the Moderation team when you need assistance such as changing your username, finding the right place to post or just asking a general community-related question. 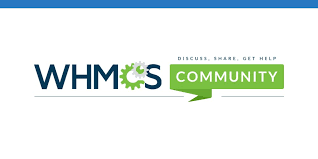 The place to do that is the WHMCS.Community Assistance board this ensures that any one of the Community Team members can assist you as quickly as possible. That's a wrap for August! With the switch to WHMCS.Community, there are a few changes to the way quotes work on the new platform including the ability to quote multiple posts and multiple sections of a post. In some cases, you may only want to quote part of a post or reply to multiple points, to do this simply select the text to quote and click "Quote This" which will show above the highlighted text. You can repeat this to add additional quotes. Quoting a full post is simple. Simply click Quote below the post and it will be added into the editor for you. Once done click on the Quote X Posts button to have these added to the reply box.